President Uhuru Kenyatta has defended Kenya’s borrowing and perceived debt crisis saying he is not worried. 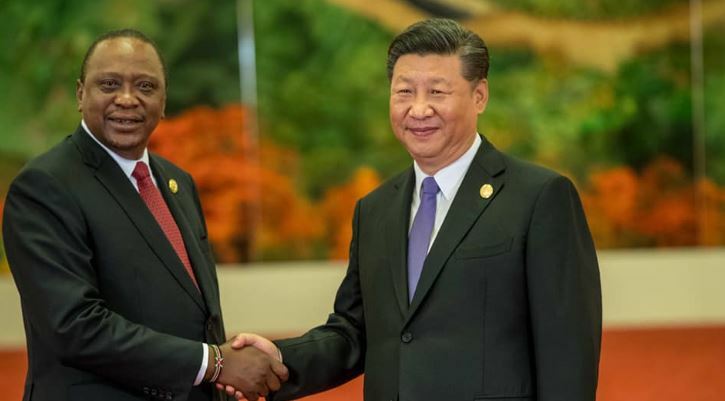 Mr Kenyatta further questioned why Kenya’s debt critics only focus on loans owed to China while there are other states that have lent money to the country. He noted that Kenya has a “healthy mix of debt” because the country’s lenders also include Japan, United States, African Development Bank, France’s AfD and the World Bank. “We are familiar with all arguments about China and their loans, but why are we focusing ourselves only on one lender?” Kenyatta posed during an interview with CNN‘s Richard Quest that was recorded last Friday and aired on Monday night. President Kenyatta insisted that Kenya’s high ratio of debt against the gross domestic product (GDP) does not worry him. “I am not worried about us borrowing. What would worry me is if the debt that we have incurred has gone into recurrent expenditure, has gone into paying salaries or electricity bills and so on and so forth,” he said. He noted that Japan is the biggest lender to Kenya’s port projects while France is a major funder of electricity generation projects. The President also said that he would not take another stab at the presidency after Mr Quest asked would be interested in having a review of the Constitution so he can serve for a third term. “I am not seeking to change the Constitution to cling unto power,” Uhuru said. “Kenya is always a gentle and loving country except for when there is an election. This is the belief we are trying to come out of,” he said.